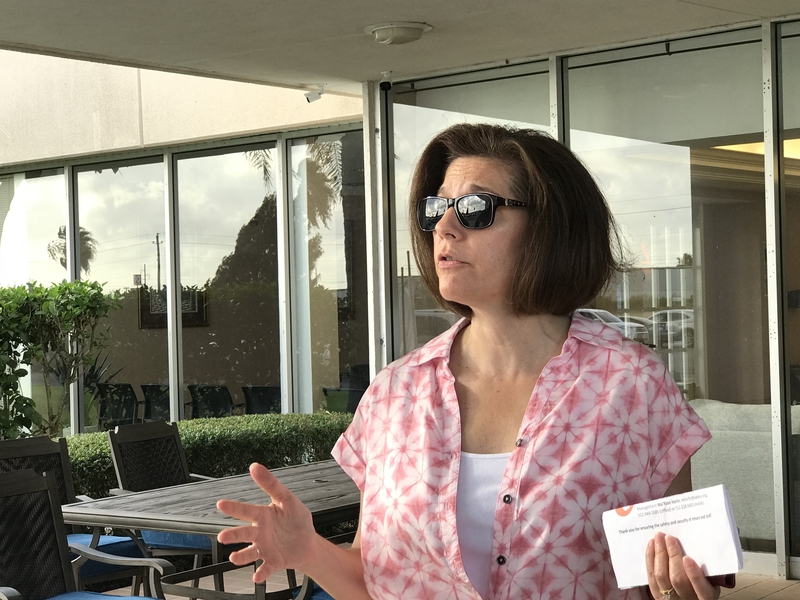 Democratic Sen. Catherine Cortez Masto as seen outside the Casa Presidente facility, where some immigrant children who were separated from their parents were being held, on June 25, 2018. She was denied entry. Photo by Luz Gray. BROWNSVILLE, Texas — In the wake of national uproar over the Trump administration’s practice of separating immigrant families at the U.S.-Mexico border, Nevada Sen. Catherine Cortez Masto is getting a firsthand look at some of the facilities where border crossers are being detained and where federal officials say they’ll be reuniting families. Cortez Masto’s tour on Monday comes four days after President Donald Trump signed an executive order that seeks to keep immigrant families together, but as a “zero-tolerance” policy announced by Attorney Jeff Sessions remains in effect. 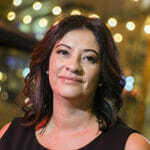 The policy means people who seek to cross the border illegally will be prosecuted criminally and stay in detention centers for perhaps months while their cases are adjudicated, whereas previous practice (referred to by some as “catch and release”) allowed some to be reunited with relatives within the U.S. and report back when they had court dates. The detainees are allowed to watch TV in the center, but authorities change the channel when stories about family separation come on, Cortez Masto said. So the parents were hungry for news from her about what was happening on the outside. She had strong words for the president, whom she blamed for “torpedoing” legislation that would address the situation by scaring Republicans away from signing it. “Our president is ignorant. He has no idea of even how the process works. What I have seen out of this administration, especially this president, is an attack on immigrants for his own political gain,” she said. Cortez Masto said one of the mothers she spoke with headed to the U.S. because she was being extorted for money in her home country of Honduras. The detainees “didn’t look like hardened criminals, they look like parents or adults who were literally beaten down and concerned and sad,” she said. Cortez Masto’s grandfather emigrated from Mexico in 1940, and she became the first Latina elected to the Senate when she won in 2016. 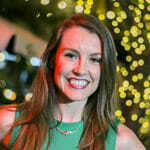 Her tour comes as various elected officials have been visiting the facilities in recent days, including Democratic Rep. Ruben Kihuen, who joined the Congressional Hispanic Caucus on a tour a week ago and Rep. Jacky Rosen, who planned to visit a tent city in the El Paso area on Monday. Casa Presidente, a detention facility in Brownsville where about 40 children who were separated from their parents were being held. Cortez Masto was denied entry Monday morning, when a staff member told her and members of the media that they needed to leave because the site was private property. When a congressional delegation visited a week ago, several members said they were outraged to see two infants named Roger and Lea who were about a year old who were being held apart from their families. Lawmakers said that the babies seemed to be well-cared for at the facility, which is run by the nonprofit Southwest Key, although they still criticized the arrangement. “If the president had a heart, how could he let this happen?” Rep. Ben Ray Luján (D-N.M.) told reporters, according to the Huffington Post. ICE’s Port Isabel Detention Center in Los Fresnos, Texas as seen on June 25, 2018. Federal officials say families that have been separated following the “zero tolerance” policy will be reunited at the center. Photo by Luz Gray. 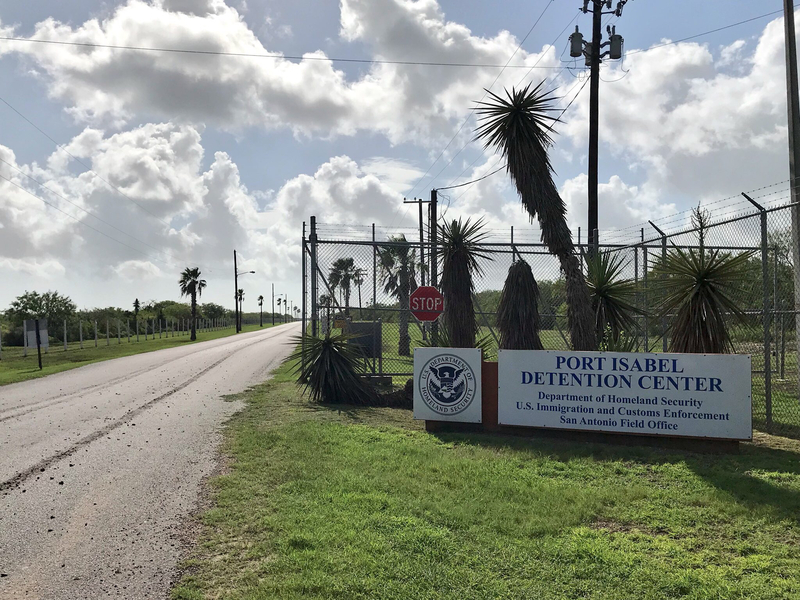 Port Isabel, a detention center in Los Fresnos, Texas — a remote location about 23 miles from Brownsville — that the federal government has deemed the as ICE’s “primary family reunification and removal center for adults in their custody.” Press were not allowed to accompany Cortez Masto on her visit. At least one large van with dark tinted windows and passengers inside was seen entering the gates of the facility on Monday morning. Late Saturday, ICE and other federal agencies issued a statement saying they had 2,053 children in their custody who had been separated from their families, and that 522 had been reunited with their parents. But Democratic Massachusetts Sen. Elizabeth Warren visited Sunday and said that after two hours inside and speaking with nine detained immigrant mothers, she hadn’t witnessed any reunifications. “It’s clear … They’re not running a reunification process here,” Warren said, according to The Washington Post. McAllen Border Patrol Processing Center, which is located in the Rio Grande Valley in South Texas, the busiest region for apprehending and detaining immigrants entering the country illegally. The center is where migrants are processed and sometimes separated from their children. It’s also become notorious for its chain link, cage-like enclosures for migrants. Hidalgo Port of Entry: Under international law, people seeking asylum are supposed to present themselves at a port of entry like this one south of McAllen. Asylum seekers had previously waited on the U.S. side of the border to be processed, but recently, Border Patrol agents have been positioned in the middle of the bridge to prevent the crossing of people without documents — which has been controversial. In a visit to Las Vegas on Saturday, Trump made little reference to the crisis at the border during a speech at the Nevada Republican Party convention, except to say that facilities being criticized date back to prior administrations. Indeed, some of the expansion of Border Patrol infrastructure can be traced to the Obama administration. But he spoke at length about immigration in general, taking aim at the due process the U.S. provides for people suspected of entering the country illegally and for people making a claim for asylum. Reporter Riley Snyder contributed to this story.